Still in crepe mode, I bought a new non-stick frying pan and buckwheat flour at Down to Earth in preparation for galette complete. 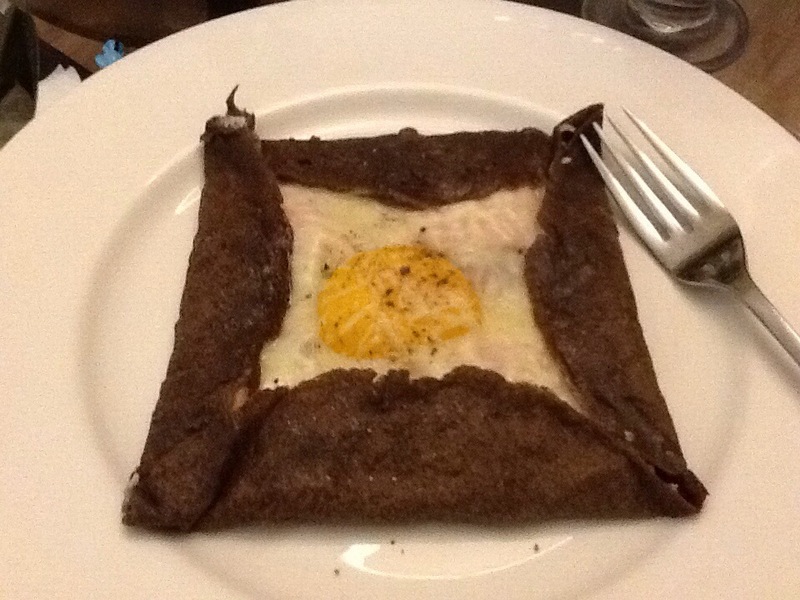 Made with egg, ham and cheese, this savory crepe is a “complete” meal. 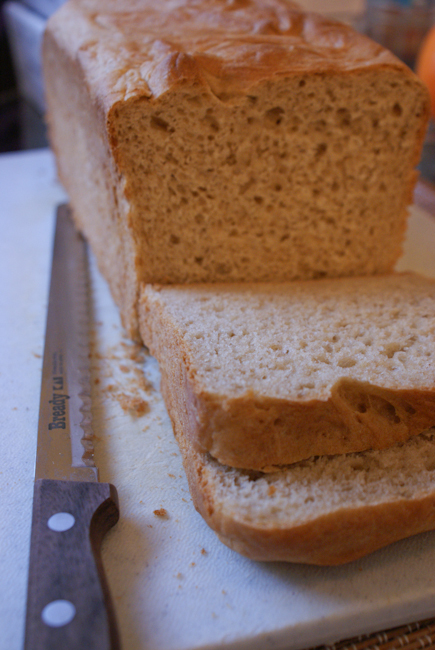 There were many recipes available online, but for the first attempt I tried just buckwheat flour, water and salt. Not bad at all for the first try, but the galette was a little dry so next time I’ll try the recipes that use eggs and some regular flour as well. 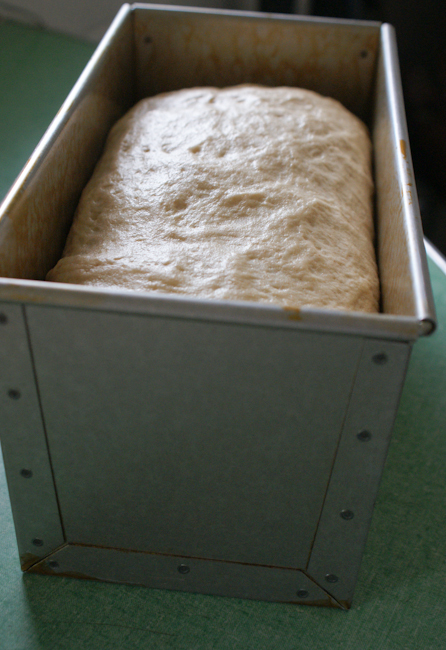 I used emmental cheese this time but I’ll splurge on gruyere too. 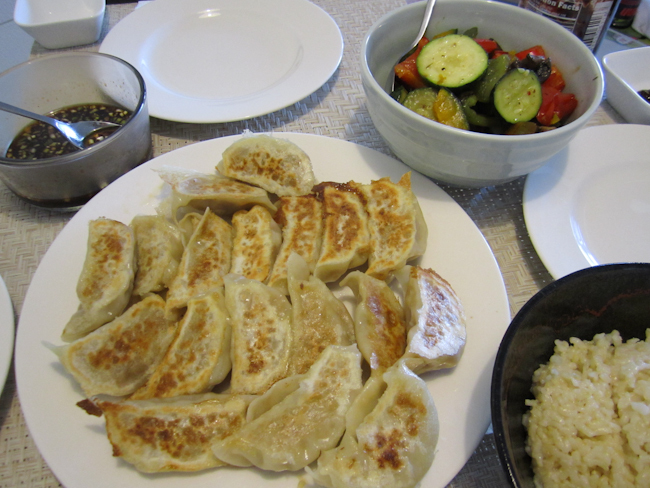 Mom and Dad were here from Japan to help out during the first weeks after baby was born, which meant I could focus on my recovery and caring for baby while Mom cooked up healthy delicious meals every day!! How lucky am I? The past 2 months flew by and Mom and Dad already went back home, but I found some photos I snapped of our dinners together. 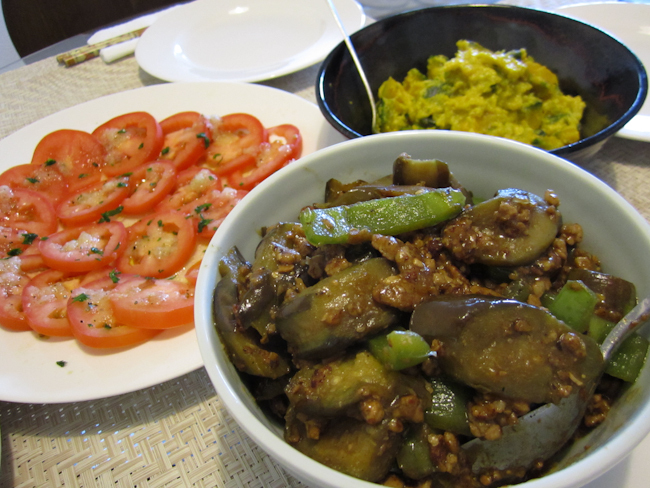 Mabo eggplant and bell pepper, kabocha pumpkin, and tomato salad. 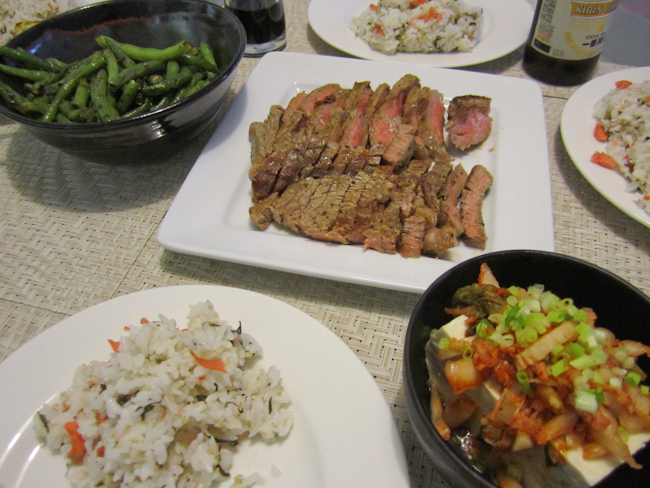 New York steak, sauteed green beans, kimchi tofu, salmon and shiso rice. 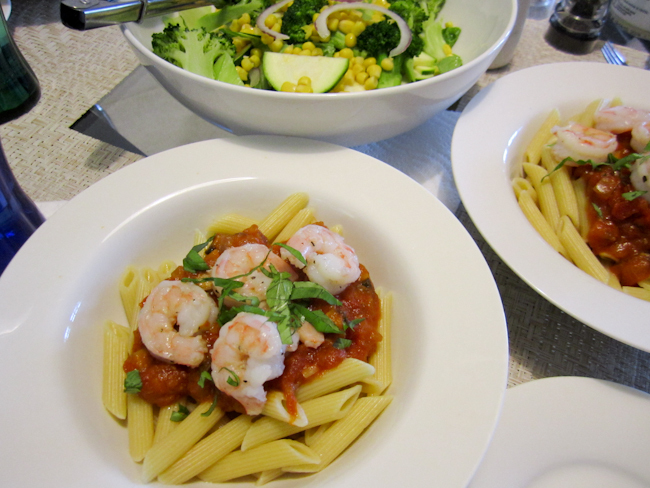 Penne pasta with shrimp and homemade tomato sauce, salad. Last night we ended up at the hospital at 3am for observation after a pregnancy related issue. This morning I had my very first hospital meal ever in my life. 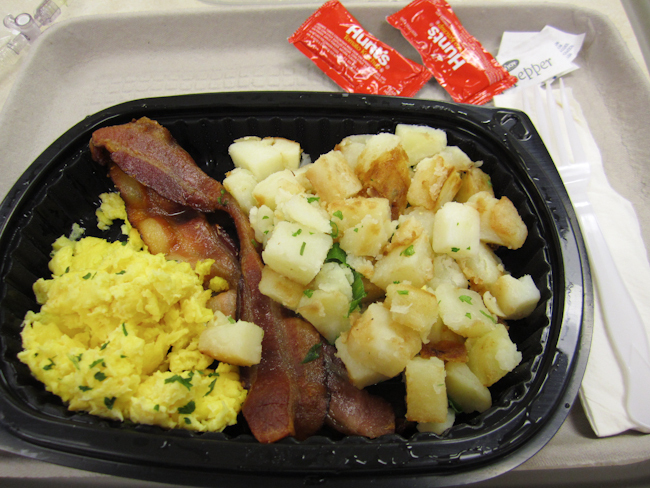 Scrambled eggs, bacon and potatoes served on a disposable tray with ketchup packets. You’d think a hospital menu would be more health conscious, but whatever. I was starving! The novelty of the experience was exciting enough that I was almost disappointed to be discharged just as lunch was being served (I spied lime jello and chocolate pudding on the carts!). OK, I said almost disappointed. Anyway, all was OK but by the time we got home we were exhausted and the doctor ordered me to rest and take it easy for the next week at least. 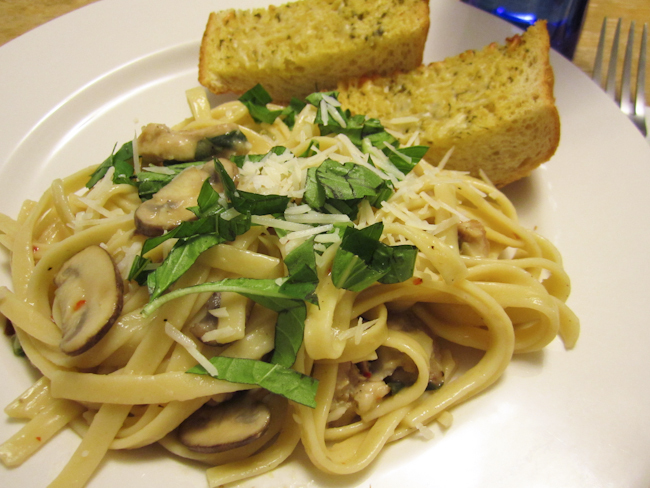 While I rested, my husband went grocery shopping and cooked up dinner: lemon basil pasta with chicken, garlic toast. He is my super hero! Although it’s been on my “would be nice if I had one” list for a long time, I’m not sure why it took me so long to finally buy one. Perhaps it’s due to the limited storage space in our kitchen, our tiny dining table top, the fact that it can get pretty warm in our apartment, I don’t know. 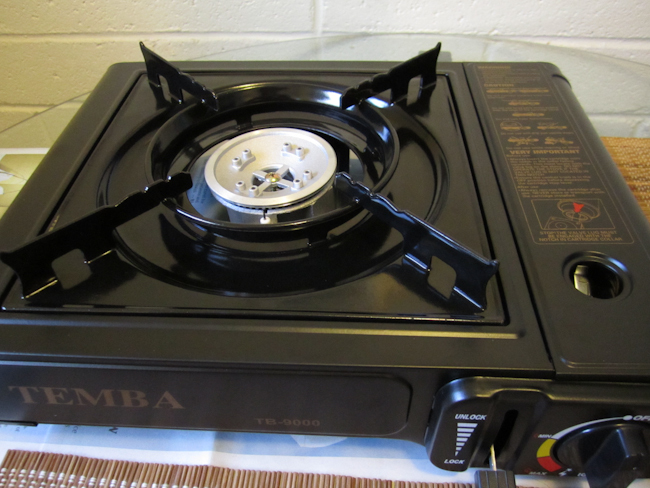 But at long last, we have a tabletop burner stove! This thing is great. Now we can enjoy hot pot, okonomiyaki, and yakiniku parties at home. Plus, in the event of a power outage I can still cook hot ramen. (Traumatic memories from a 24 hour power outage following an earthquake many years ago are still fresh in my mind, when I searched high and low for any restaurant open and serving hot food. Eventually I found Golden Eagle Chinese restaurant – bless them – busily cooking up whatever they could on their gas stoves in the dark to feed the hungry that lined up at their door. From that day, they had a loyal customer in me). 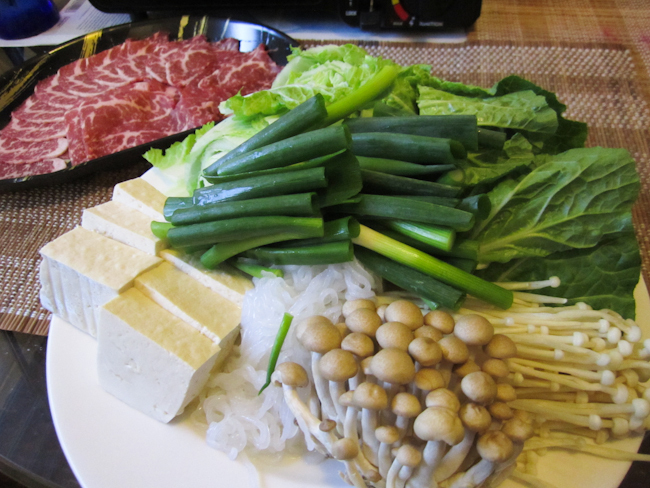 So anyway, I cordially invited hubby to a shabu shabu party for two (then sent him off to buy the groceries). 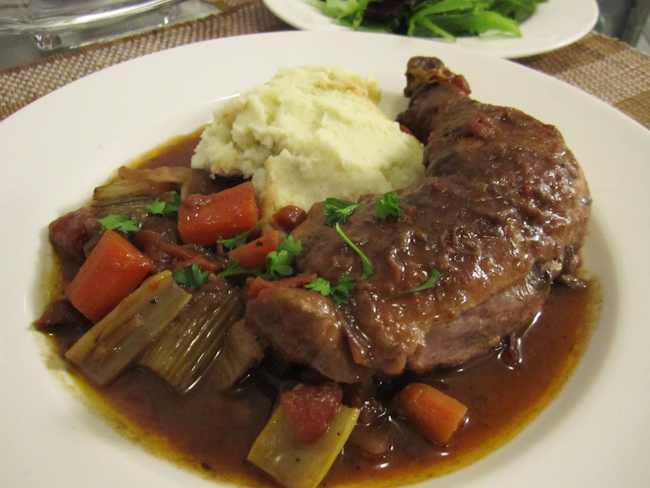 There’s something about cooking your own food that instantly turns a meal into an experience, an activity, a part-ay! No disrespect here, but our dinner was so much better than Ichiriki. 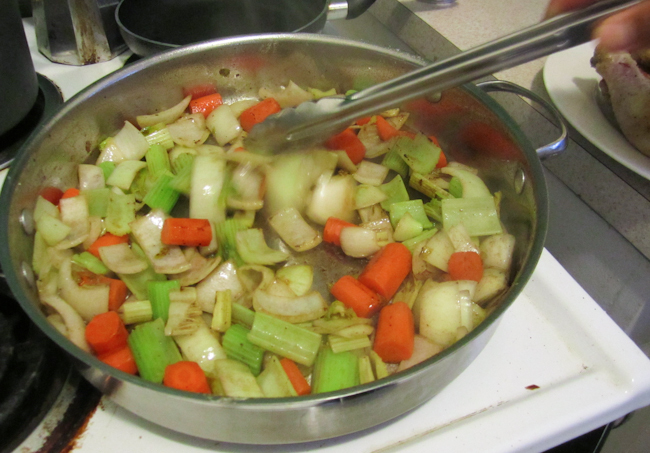 We started with a pot of water and had ponzu and sesame dipping sauces on the side. We ended the meal with udon noodles of course, enjoying the pure beef broth infused with flavor from mushrooms and green onions. 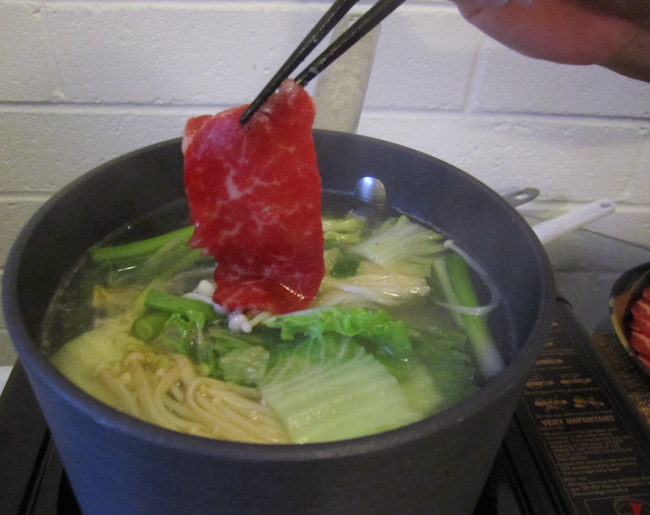 And then we ended up eating shabu shabu again the next day, but with pork instead of beef. 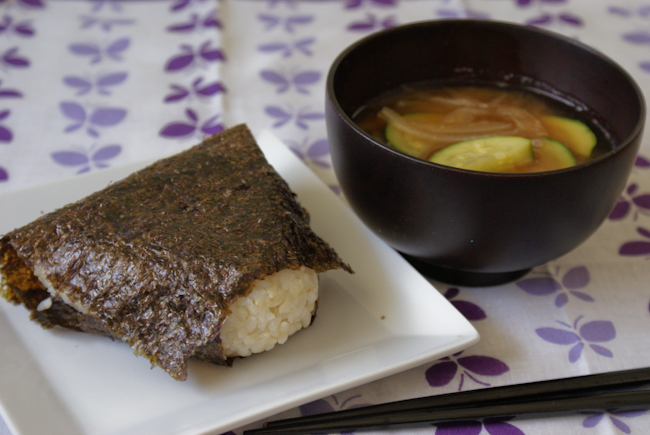 Natto onigiri and miso soup with onions and zucchini. Natto is one of my favorite musubi fillings. Natto musubis are hard to find nowadays, but for a brief period in the mid-90s Family Mart (a convenience store chain in Japan) used to carry it. After school, my friends and I, in our Japanese school uniforms, used to love going to the nearby ファミマ “Fami-Ma” to buy snacks. I was in love with their natto musubi. There are various theories online about why natto musubis are rarely sold today, when natto maki sushi can be found anywhere. Apparently the mix of warm rice combined with the live cultures in the fermented natto doesn’t make for an ideal situation, food safety-wise and smell-wise. 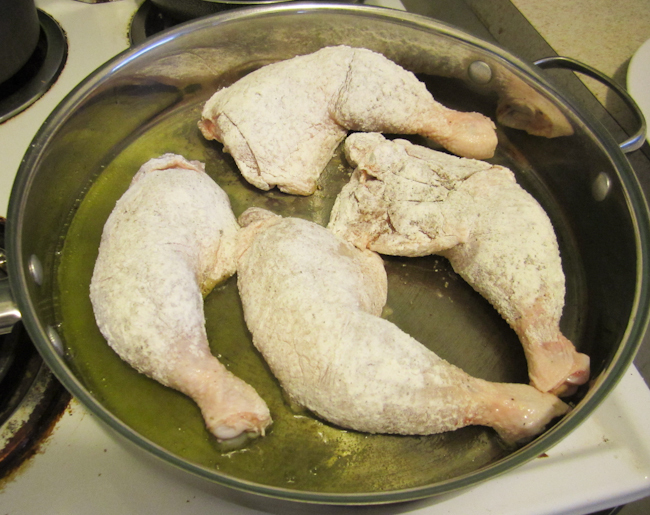 I guess it’s just easier to deal with served with cold sushi rice (thanks to the antibacterial effects of vinegar). But, I say, they’re just not the same – one is not a substitution for the other! I love natto maki too, but I also love natto musubis in a different way. I make both at home, depending on which one I’m in the mood for: hikiwari (finely chopped) natto is the only way to go for natto maki and shiso leaves are a must. For the musubi I prefer the larger whole beans seasoned well with shoyu and a generous sprinkling of salt on the outside of the rice ball. It’s a little sticky and messy (watch out for that falling bean!) but SO worth it.